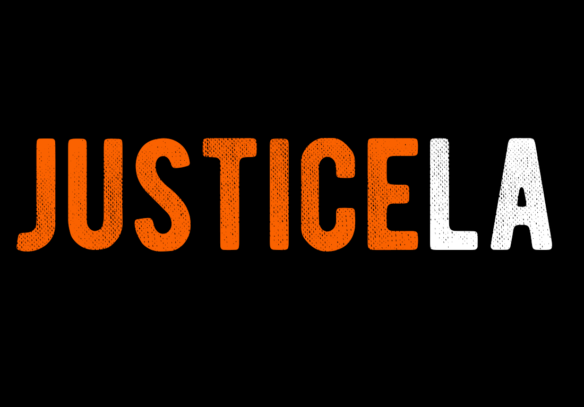 Over 200 activists with JusticeLA—wearing “L.A. County jail” orange colored shirts—set up 100 jail beds in front of Kenneth Hahn Hall of Administration in downtown Los Angeles on Tuesday, September 27, 2017 ahead of the Los Angeles County Board of Supervisors meeting. 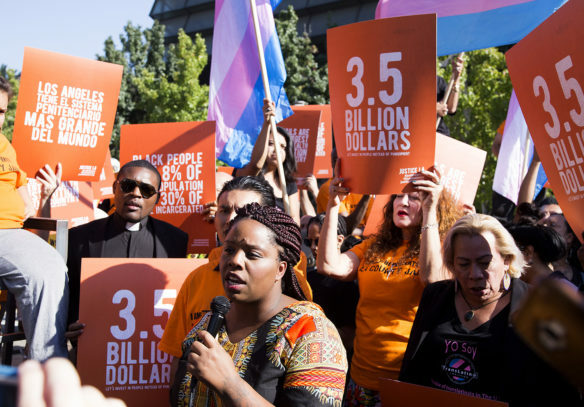 The beds represented the launch of JusticeLA’s campaign to stop the jail expansion and were intended to send a loud and clear message to the decision makers that JusticeLA opposes spending $3.5 billion on two new jails and supports re-investing that money back into the community. 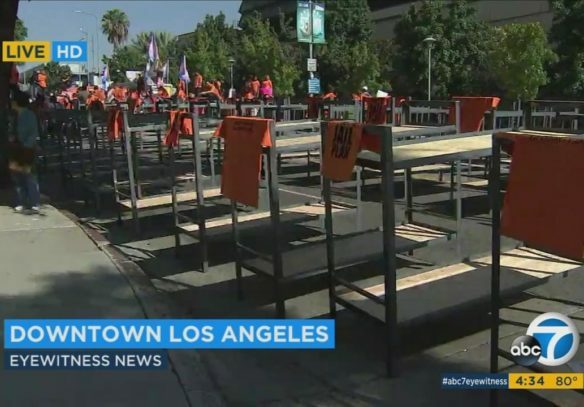 For over 6 hours traffic was diverted around Temple Street between Hill Street and Grand Avenue in the heart of downtown Los Angeles’ civic center area for what JusticeLA says was the largest display of jail beds ever used in a demonstration.